A curious structure is discovered in Giza. 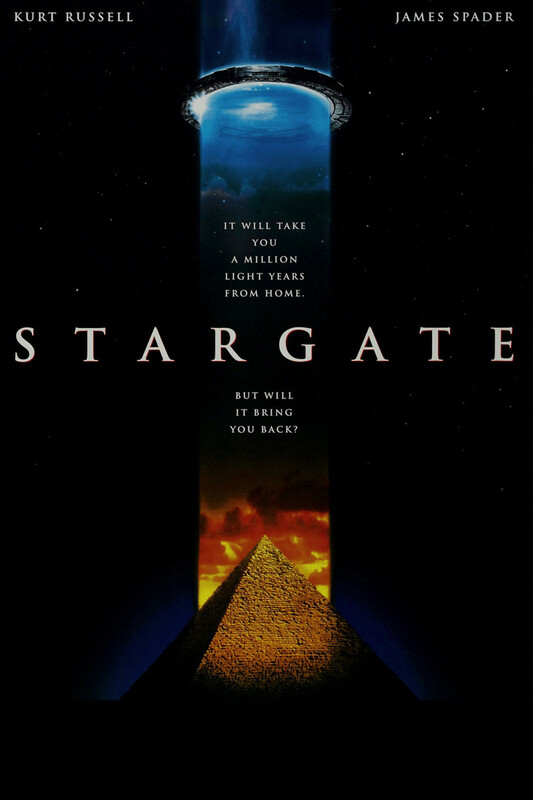 An Egyptologist translates the hieroglyphics and determines that the device is a stargate and can be used to travel to other worlds. A military commander takes an expedition through the wormhole created by selecting the correct sequence on a series of rings. Once there, the team realizes that they are trapped on the other world, and the coordinates to return home are missing. While searching for the missing coordinates, the military team encounters an alien god who announces his intention to return an atomic bomb to earth, destroying millions of lives. The team fights to disarm the bomb and gain control over the destructive alien.